Following a successful tabling at the Democratic convention in June, Massachusetts Social Democrats unveiled its new web site and Facebook page last Saturday. 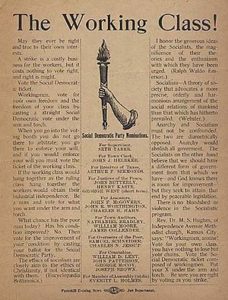 Eldon Clingan, Chair of the Bay State group, said that its purpose is to disseminate social democratic ideas to the progressive movement and to provide space for their discussion. “We welcome social democrats from several activist groups in our state,” he said. 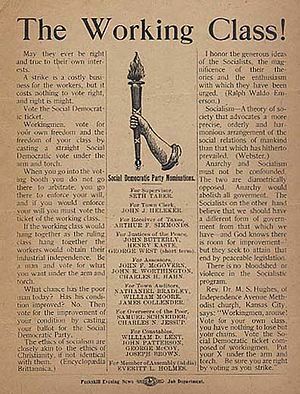 “We don’t seek to supplant such groups but to supplement their efforts with education and advocacy.” He said that MSD is planning future distribution of social democratic printed materials, in addition to its web site, and that the group is hoping to sponsor a conference on the future of progressive politics after the fall general election. He pointed out that MSD has made arrangements with Dissent Magazine to provide each member with a digital subscription, normally a $19.95 value, as a member benefit. “Since member dues are only $20 a year, we think that’s a good deal,”. Clingan said. MSD’s Secretary/Webmaster is Michael Passarini, a student at the University of Massachusetts- Boston. The web site can be found at masocialdemocrats.org. On Sunday, June 3rd, Patty Friend, Sheldon Ranz, and I got ready to present our second panel of the weekend: “Domestic Violence: How Capitalism Fails Survivors.” This panel was a little different than most that were offered at Left Forum. Following this year’s theme of “Towards a New Strategy for the Left,” the SD, USA decided to present a series of panels that focused on real, pressing issues and how, as leftists, we can rally to find solutions. Domestic Violence, though not a new concern, is finally gaining national attention. We felt that a discussion about how American Capitalism protects abusers and falters survivors, and to outline some practical solutions, would be a fitting addition to the conference. Well, it seems we were wrong. Fifteen minutes after we were supposed to start, we were looking at an empty room. While some panels, debating obscurities of leftist purity were packed to standing-room-only, no one showed up until we had already broken down and called it a loss. The day before, we had a good turn out at our panel “Mental Health in America: The Capitalist Crisis and Socialist Solutions.” We were booked in a day-long series of healthcare related panels. We had a surprising amount of doctors, social workers, and mental health professionals in attendance and we were able to facilitate some great discussion. We also had the opportunity to see a panel, moderated by Howard Waitzkin (author/editor of the book “Health Care Under the Knife”) which offered an array of insight into America’s long-broken health care system. Coming out of the first day, we were hopeful that the engagement we experienced would continue, but I started seeing the growing bark of sectarian squabbles first thing Sunday Morning. I went to a panel that morning entitled, “What’s left of the Left?” hosted by a delegation from the Social Democratic Party of Germany (SPD). They discussed the current state of affairs in Germany and parallelled them with what is going on here, suggesting that anti-establishment conservatism is on the rise. One of the speakers also suggested that a huge base of support for people like Trump and Merkel are more interested in finding people from “outside the system” and that is why Trump and Bernie had a lot of the same supporters. Here is where people in the audience began to push back. For some reason, a “revolutionary” in the audience was so angered at the mention of Bernie Sanders as an outsider, he interrupted them to tell them “Bernie is not an outsider! He is a part of the system, too!” Regardless of your opinions of Bernie as an outsider (and I definitely have some) this outburst speaks volumes about the revolutionary left: they are much more concerned with calling out enemies within the left than they are with actual enemies from the far right. The man had no issue with Trump being seen as an outsider, worthy of popular appeal, but someone who speaks about socialism from a two-party podium could not be stomached. The point of the conference was coalition building, to connect and strategize so that we can move “Towards a New Strategy for the Left.” I believe the conference was run well and that the organizers are in the right place. The big-ticket panels, featuring Kali Akuna, Ajamu Baraka, and Jane Sanders, were productive and featured a variety of approaches and suggestions on how we can all move forward together. Unfortunately, this message was lost on petty protestors who took these opportunities to grandstand instead of listen and disruptors who had no intention of contributing to the conversation, but came to take away from it. I commend Left Forum on the unyielding amount of dedication they put into this and I appreciate the opportunity I had to participate. I also plan on attending in the future. Hopefully, as the need for unity and actual progress becomes more apparent, more of the attendees will come in the name of Solidarity.